If you are serious about being in the racing winners circle, then you have to be serious about Callies. 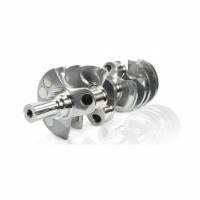 Callies Performance Products began manufacturing high performance crankshafts in 1989. With many years of engineering and employee experience, Callies has grown to be the industry leader for innovative product design. We take pride in staying ahead of the competition with the latest high tech design and manufacturing advantages. Callies and Butler LS, serious about Performance.